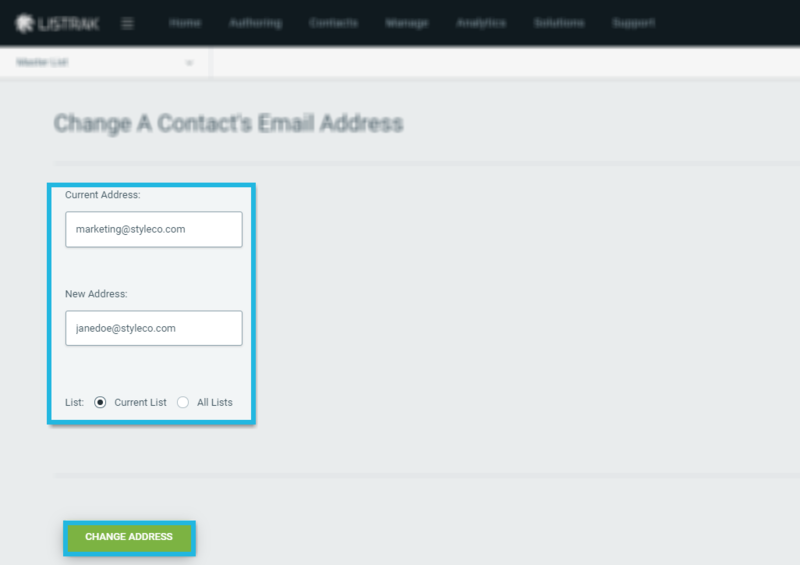 Learn more about how to change a contact's email address. You can change a contacts email address by following the below steps. Go to Change A Contact's Address. Enter a contact's current email address. Then enter the new address. Current List: The list you're actively working on. NOTE: Ensure the contact that you're updating is not already subscribed to your list. You've successfully updated a contacts email address!